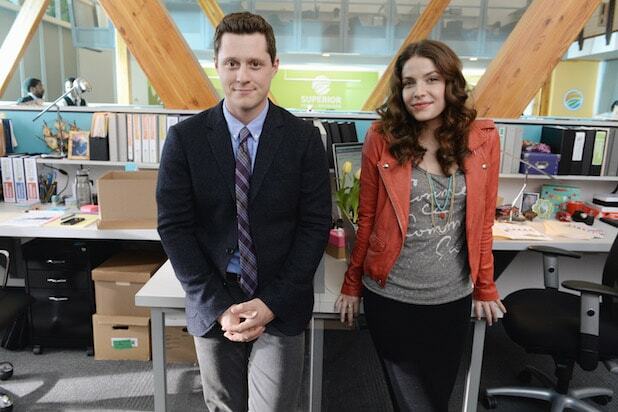 ABC Family has ordered single-camera comedy, “Kevin From Work,” to series, the network told TheWrap. The series will begin production in June and premiere this summer. Created by Barbie Adler (“How I Met Your Mother,” “My Name Is Earl,” and “Arrested Development”), the series follows Kevin (“Backpackers” Noah Reid), a young man who declares his unrequited love for his coworker Audrey (Paige Spara) in a letter, believing he’ll never see her again after he accepts a job overseas. But when the opportunity falls through and Kevin is forced to return to his old job, he and Audrey will have to figure out how to continue to work together now that his feelings are no longer secret. Matt Murray (“Rookie Blue”), Jordan Hinson (“Eureka”) and Punam Patel also star on the series. Amy Sedaris (“Strangers with Candy”) is set to guest star. Adler will executive produce alongside Aaron Kaplan at Kapital Entertainment (“Chasing Life,” ”The Mysteries of Laura”) and McG at Wonderland Sound & Vision (“Charlie’s Angels,” “The O.C.”). McG also directed the pilot, and will direct several episodes of the series.